Good morning friends! Long-time, no-write. Actually – not entirely true. I’ve written lots of half-things, and written even more in my head (of course). But haven’t made myself sit down and polish something enough to publish it. That’s a whole other story. This morning I had a solo mama dilemma that has prompted me to sit down to share it. If you have or have had, kids in a school, you are certainly familiar with the Moms and Sons Night, Daddy-Daughter Dance, etc. Fun, right? Absolutely. 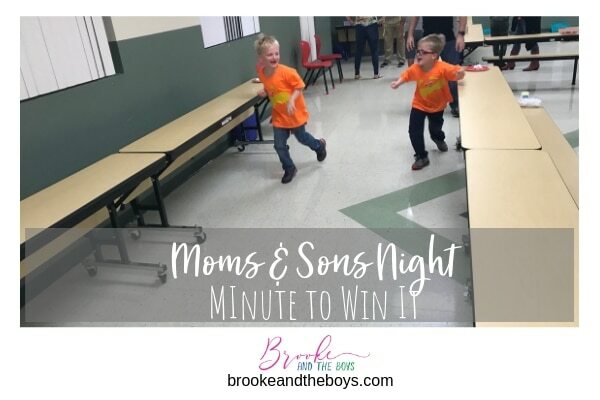 The boys’ school recently had a Mother-Son Game Night – like Minute To Win It style – that was super fun. My mom came with us so we could split up if needed, and we all had a great time. So, for about a week I’ve been seeing info about a “Donuts with Dad” morning at the school, but I honestly didn’t pay any attention to it since it doesn’t apply to us. This morning on the way to school, I remembered that grades K-3 would be having Donuts with Dads before school, so I wanted to give the boys a heads up. I mentioned the Moms & Sons night we had and told them that this morning was a “Donuts with Dad” thing at school. I wanted to just warn them in case friends came back to class talking about having donuts with their dads – I didn’t want them to be surprised and/or feel bad. I kept looking at them in the rearview mirror trying to gauge their reactions. Every so often one of them will say they wish they had a dad, or talk about a dad. The other day Reid said something about being thankful for his dad, and when I asked him about it, he said he was talking about Papa (who is my dad). Anyway. I didn’t want to pepper them with questions so kept stealing peeks in the mirror. They were both just staring ahead straight, sort of non-expressions on their faces, not saying a word. I started to feel a pit in my stomach about these sweet precious boys not having a dad. Then one asked if we could get donuts. And the other one replied with something about lego donuts. 2. They weren’t pensive or sullen back there. They were staring at the monitors in the car headrests watching a silent Lego Jurassic World – not listening to anything I said except “DONUTS”. As moms, maybe as women, maybe as humans, we are really good at projecting our negative thoughts onto situations and often creating angst where it doesn’t actually exist. Not that I will stop projecting, mind you. But, wow it is sure nice to be reminded of this tendency so I can at least make an attempt to cut it out. My uncle says we all see the world through the lens of our life experiences. True. It is easy to project our likes, dislikes, wants, and desires onto others based on our own experience. 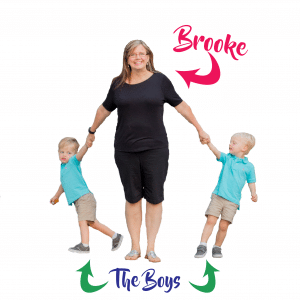 I was recently interviewed on the Podcast Motherhood Reimagined about my experience going through the process of deciding to have the boys on my own. I started writing about that – but again – half-done. Sigh. In the meantime, check it out! I cringe a little listening to it. I sound like I was talking really fast, and there are some things I wish I’d answered differently, but overall, it’s an accurate description of my experience. Talking about it reminded me of the reason I started writing my book about my baby project, and the reason I started this blog. We all have our own path – and even if we wish it were different – sharing our paths help others following behind us know they are not alone. I’m working on a schedule to get back onto a more frequent posting schedule. The ideas for this thing grow faster in my brain than I can produce – especially with work, the boys, and life. I’m sure there are plenty of you out there who can relate! But if I can get on the schedule I’m trying to get onto, I think we’ll be in good shape around here!